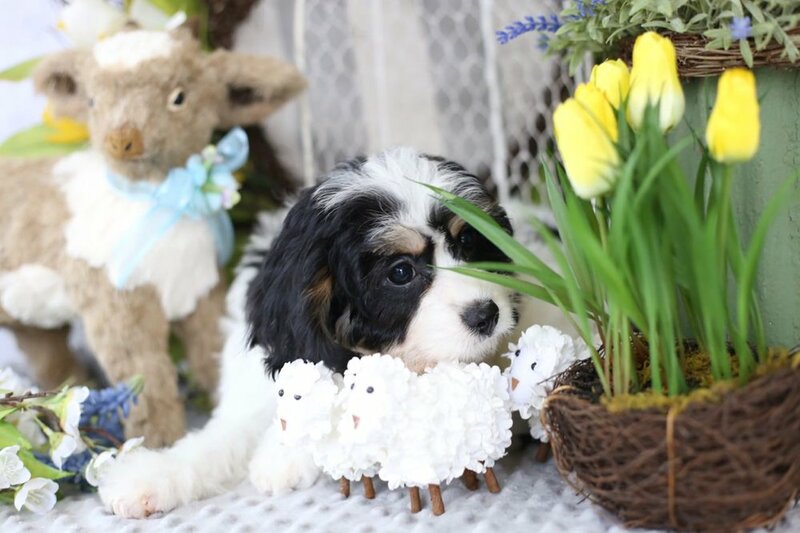 Sweet, soft natured, good first time puppy. 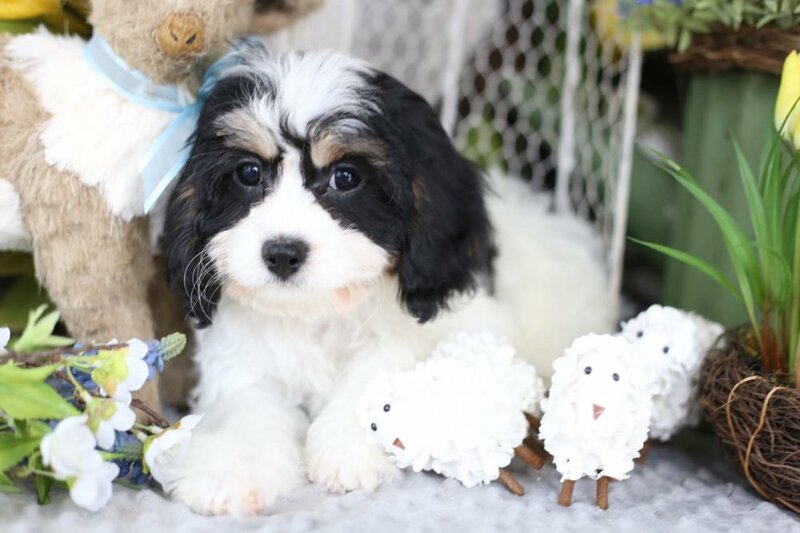 Tri-Color Boy Cavachon Puppy Isn't he just the most handsome baby!? I don't raise many puppies in this color, they are rather like hen's teeth lol! The genetics prefer the Blenheims typically but this litter had one of each just to be fair. I love both colors but the Tri's are so distractingly pretty that I waffle back and forth in my affections, fickle woman that I am lol! "Meadow" is such a laid-back little fellow, he'll romp and play with the best of them but oh he does LOVE a good nap! (Lots more photos, tap the little lamb's nose please! ).